One of California’s leading music and arts festivals, California Roots Music and Arts Festival, is taking initiatives to expand its greening efforts for the upcoming 2017 festival taking place the weekend of May 26th-28th, 2017, in the lovely Monterey, CA. 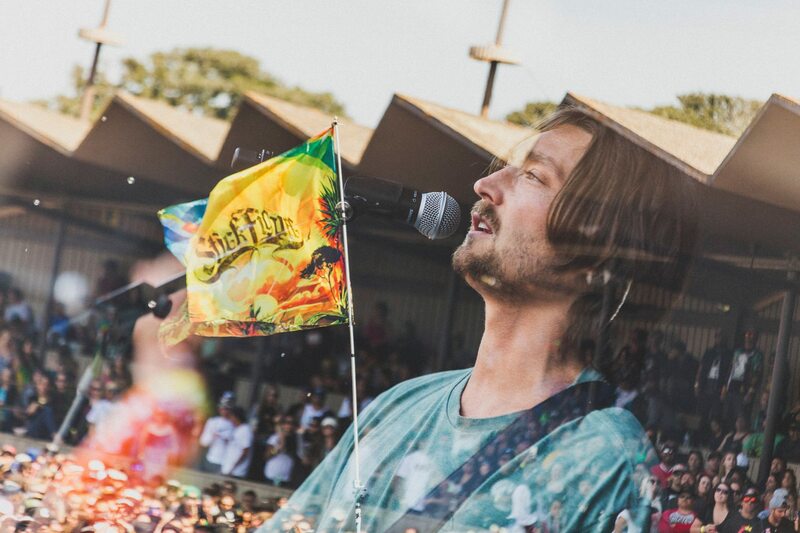 The festival brings top tier reggae and roots music to the area’s deeply rooted music scene for three jam-packed days of tunes, community, art and sustainability. Every year the fest partners with local and national organizations to help keep the fest as environmentally conscious as possible by bringing the community together, educating and engaging festival attendees and providing new missions to step their game up to the next level of “green.” This year’s new partnerships include the Redwood Forest Foundation, The Last Plastic Straw, Passion Purveyors and Ricky Rides. If we take a look at Cali Root’s impressive statistics from last year, we see how much of an impact these partnerships and initiatives make. For example, with TripZero, CO2 emissions in 2015 were offset by 138,347 and 2016 by 1,410,957. The projection for 2017 is an impressive 1,693,148. By working with REVERB and using Nalgene Water bottles, they will continue to further offset water bottle usage throughout the year. Each American uses an average of 167 single use plastic bottles a year. 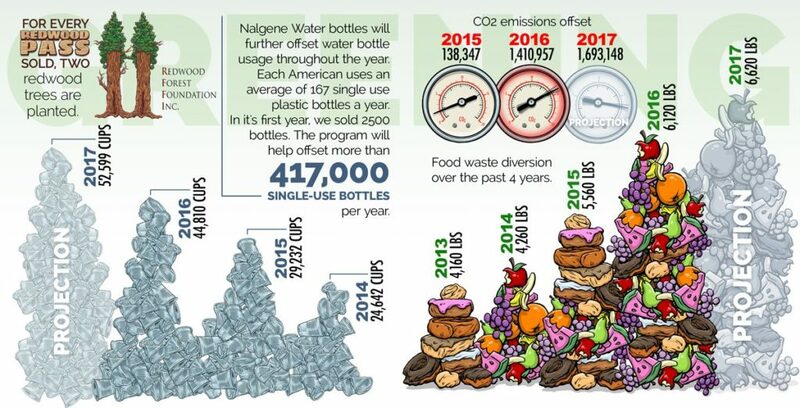 Co-Producer Dan Sheehan explains, “In our first year, we sold 2,500 reusable bottles and our program will help offset more than 417,000 single-use bottles per year.” Cali Roots has also been able to divert food waste last year by 6,120 pounds with 6,620 pounds projected for 2017. 2017 has introduced the Redwood Pass, a special ticket that adds upgrades to the Cali Roots experience, but also helps the environment directly. 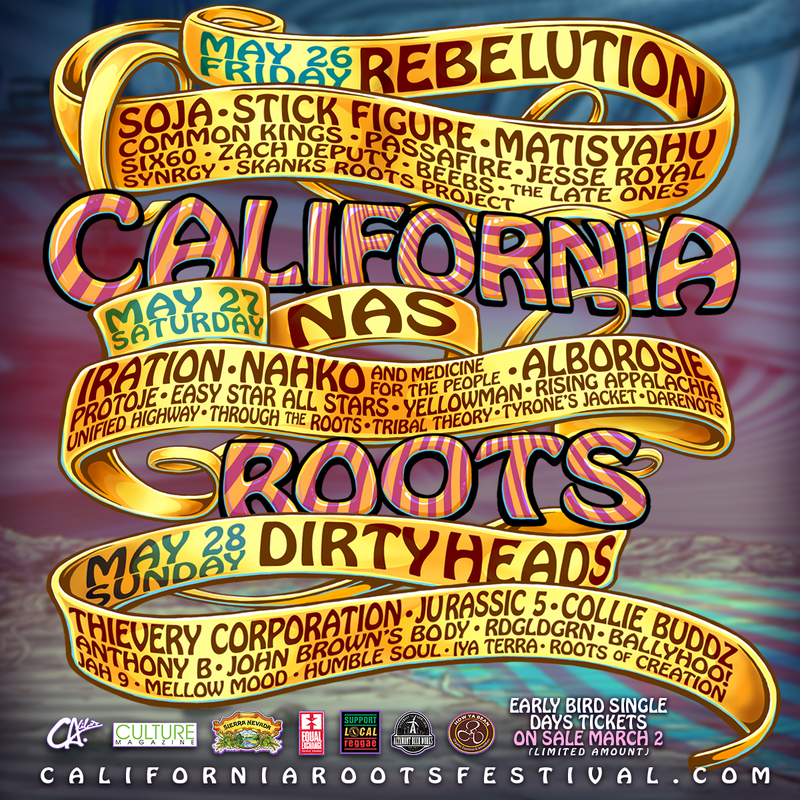 Cali Roots has partnered with the Redwood Forest Foundation (RFFI) to bring a unique experience to fans both onsite and offsite. Two redwoods will be planted for each pass sold, resulting in a total of 800 new redwood trees. The RFFI’s mission is to acquire, protect, restore, and manage forestlands and other related resources in the Redwood Region for the long-term benefit of the communities located there. The Foundation follows the same grassroots growth that Cali Roots has strived to achieve the last eight years, making them a perfect team to continue the growth of environmental sustainability. Another new partnership this year is with The Last Plastic Straw who “strives to educate the public about the absurdity of single use plastic, its effects on our health, our environment, and our oceans, with the ultimate goal to eliminate from the source, the use of single use plastic.” Cali Roots has made the pledge to become a “Plastic Straw-Free Business Leader.” For 2017, the festival is requiring all vendors to use compostable straws by request only and will only be using compostable straws in all bars, hospitality and catering areas. Also new is the partnership with local Monterey compostable company Passion Purveyors, who goes above and beyond to bring events the best compostable products for their vendors, so even behind the scenes is well executed and thought about with Cali Roots’ environmental mission in mind. The final new addition is Ricky Rides, an environmentally-conscious ride sharing program, which is encouraged for fans to take to and from the festival. A perfect complement to the already popular onsite bike and skate valet. California Roots Festival is committed to being a zero-waste event, diverting all vendor organics from the landfill as well as composting in public concession areas. The California Roots Festival will again collaborate with The Offset Project (TOP), a local nonprofit, to reduce its waste and associated environmental impacts, including emissions, and to conserve natural resources. TOP will work with vendors on purchasing only compostable food ware, and will educate vendors on separating all compostable materials in the back of the house. In the public concession areas, attendees will see zero-waste stations, consisting of recycling, composting and trash options, and manned by volunteers who will educate festival-goers on proper separation. They will also work with and manage the food rescue program which entails bringing on Monterey County Food Bank to come in each day to take any leftover food. Earthwell will join forces with California Roots once again. Attendees are encouraged to bring an empty water container to the festival and utilize one of the many purified water refill stations, provided by REVERB. The Earthwell pint program is another opportunity for festival goers to not only continue our mission in becoming a fully green festival, but save money and return home with a unique souvenir. A great merchandise. item similar to REVERB’s yearly custom Nalgene Water bottle. Sheehan concludes, “My family and I reside in Monterey and we value the environment not only for us, but for our children and future generations. We are proud that we can continue to build our environmental initiatives and partnerships deeper every year and hope to lead by example to other event organizers showcasing the same high standards in our greening as we do with our music lineup, art, and experience.” Find more info on the festival’s greening efforts HERE.